The first parliamentary system in the Cape Colony, part of which is now the Western Cape Province, was formed in 1854. Based on a constitution, the Parliament had a Chamber of Assembly, formed of representatives from throughout the colony, and a more powerful Legislative Council. In 1910, this system was changed with the formation of the Union of South Africa. Most of the executive power, or decision making power, formerly held by the Legislative Council, was given to the National Parliament. The remaining areas of power were then controlled by the Western Cape Provincial Administration. This consisted of a Provincial Council and an Executive Committee. With the first democratic elections in 1994, South Africa opened a new chapter in its history. Whereas the country previously had four provinces, the post-1994 Republic of South Africa was now divided into nine provinces, the Western Cape Province was hence established. The national Constitution of South Africa makes provision for the composition of legislatures in each of the nine provinces. According to Section 104 of the national Constitution, the legislative authority of a province is vested in its provincial legislature, and confers on the provincial legislature the power to pass a constitution for its province. The Western Cape has its own provincial Constitution and its legislature is referred to as the Western Cape Provincial Parliament. 7 Wale Street is home to the provincial Parliament (corner of Queen Victoria Road and Wale Street). The building is an impressive landmark in Cape Town. The construction of the building started in 1939 and the first officials moved into the building in 1944. 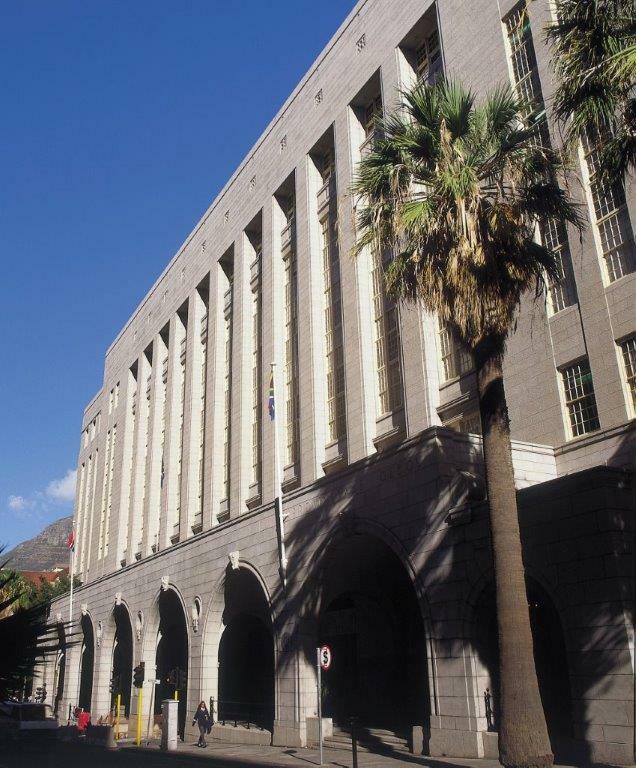 Following the first democratic elections in 1994 the building was the logical choice to house the Western Cape Provincial Parliament. Having recently undergone major renovations to the entrances, the original building remains a landmark in Cape Town not just for its political history, but also for its impressive archways and distinction as the first building in South Africa constructed over a public road - now a pedestrian thoroughfare connecting Wale Street to Keerom Street.